This ball was discontinued and I played some of my best golf with it is there a ball comparable to this? 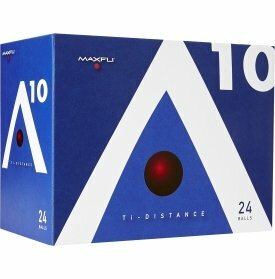 bought some MAXFLI A 10 Titanium golf balls on sale at Dicks sporting goods last year. I found that they played pretty similar to Callaway Supersoft golf balls. They went quite far when I used my driver and seem to have a very nice touch and feel to them. I was able to get 3 huge boxes of them for a very cheap price and I was surprised that they are that good. Durability issues have been zero. They are a two layer ball. For the golfer on a budget and even if your not and like a really good value I would give these a shot and see what you think. I am really surprised that they are that good.They play like a much more expensive ball. What type of ball is it? 2 piece? what's the compression? D2 Feel from Dicks is a nice 2 piece distance ball, mid compression and cheap.